What would it be like to be aboard a floating city of men? Essentially , a men’s only club, where the sign reads “No Girls Allowed.” Retired Navy Captain Valerie Ormond knows. She was among the first female naval intelligence officers aboard a combat ship for the United States Navy. One of very few women aboard the USS Abraham Lincoln. An aircraft carrier’s crew consists of the ship’s company, those permanently assigned to the ship, and the air wing personnel, who come on when the air wing is deployed. Normally, the air wing comes aboard for training, work ups, and deployments. The total ship’s company is normally around 3200. The air wing totals about 2400. Therefore, the total personnel on board a Nimitz-class aircraft carrier is usually over 5500 people. In addition, there are others that are not part of the ship’s company. These peeps consist of NCIS agents, contractors, teachers, the Admiral’s staff, and the like. Some interesting factoids on the USS Abraham Lincoln and photos can be found here. The number of women assigned to the USS Abraham Lincoln’s ship’s company, air wing, and Admiral’s staff was 363 out of 5500. She was one woman amidst a sea of men. Valerie was assigned to Fleet Air Reconnaissance Squadron FIVE (VQ-5) as part of Carrier Air Wing ELEVEN (CVW-11) from November 1994 – July 1996. Fleet Air Reconnaissance Squadron FIVE flew the ES-3A Shadow, an aircraft carrier-based electronic reconnaissance aircraft. Carrier Air Wing ELEVEN was assigned to the USS Abraham Lincoln in 1994 and 1995. Missions included a Western Pacific and Arabian Gulf deployment participating in Operation Southern Watch, the enforcement of the no-fly zone over southern Iraq, and Operation Vigilant Sentinel, in response to Iraqi threats against Jordan and Kuwait. VQ-5 is now decommissioned, but for some great data on VQ-5 and naval aviation click here . As an intelligence officer, Valerie found that being on the squadron’s first six-month deployment on board a carrier with real world missions to be very fulfilling. There were some who said that as a woman, she had no place there. But Valerie would hear nothing of it. To her, it mattered not whether she was male or female. She was there to use her mind over matters of war. With a dual Bachelor of Arts degree in English and Mass Communication from Towson University in Maryland, as well as a Master of Science in Strategic Intelligence from the Defense Intelligence College in Washington, D.C., she was a match for any man’s mind. She loved school and learning, and it showed. Valerie later attended the U.S. Army War College and was awarded her second Master’s degree in Strategic Studies. She believes that all of that schooling reinforced what her parents taught her early on: education teaches one how to think. Valerie’s training has ranged from basic military survival skills to executive military leadership. But she doesn’t believe that any education or training is as important as experience. She feels she’s learned from every experience and as such, has tried to apply that learning to future steps in life. Captain Valerie Ormond, USN (Ret.) at work as an author. 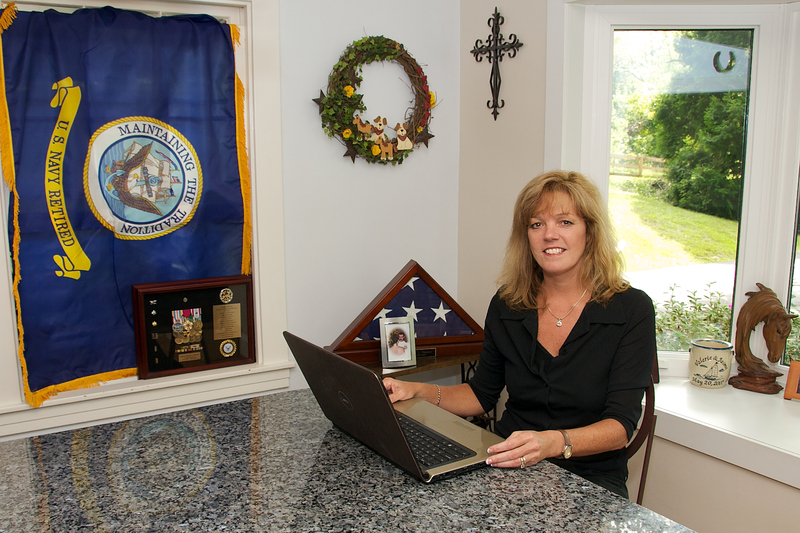 As a retired, decorated, naval officer, Valerie never dreamed she would be where she is now; especially as an author. She didn’t plan either path from childhood, but fortunately followed where life led her. One of Valerie’s favorite quotes is from Alfred Lord Tennyson, “I am a part of all those I have met.” She describes being lucky to have met extraordinary people and sharing the lessons learned from them with others. The top two mentors who have inspired Valerie are retired Vice Admiral Jake Jacoby, U.S. Navy, and her dad. But her mother comes in a very close third! Admiral Jacoby believed in her, supported her, and never told her she couldn’t do something because she was a woman. He advised her to take jobs which at the time she didn’t understand would be the best for her and her future in the navy. Valerie now understands that being a mentor doesn’t mean always telling the person who seeks your guidance what THEY want to hear. Sometimes a mentor must bear bad news and say, “No, I understand that’s what you’d like to do, but this is what you need to do.” She appreciates that Admiral Jacoby took her under his wing and never steered her wrong. Although Valerie hadn’t planned on a naval career from childhood, her father indoctrinated her in the Navy from day one. Her father served as an active duty officer, a reservist, a naval civilian, and a navy contractor. Quite simply – he loved the navy. A ship’s clock rang in their house 24/7. Her dad explained the meaning of the bells and their relation to watch shifts aboard ships. Her brother and she grew up with and learned expressions like “Rank Has Its Privileges,” “Change Step Move Out,” and “Reveille, Reveille” in grade school. Her father taught her about navy traditions, leadership, and the pride and value of service. Interestingly, he was also a very gifted writer, which he never pursued beyond a hobby. With such a strong, naval minded father, what about her mother? Valerie describes her as “brilliant, sassy, creative, supportive, and still working at the age of 78. Need I say more?” Valerie thinks SHE is the real “Belle of Steel” here. Concerning obstacles in her path to success in a male dominated world, Valerie remembers early in her navy career being teased by salty fleet sailors. They felt since she hadn’t served at sea, that somehow she was a less worthy member of the team. It made no difference to them that there were so few positions at sea for women officers at the time. And they were not being filled by English major Ensigns. A memory struck her regarding the sign outside of a boy’s fort. “No Girls Allowed.” As a young girl, she would have walked in and challenged the threat, but Valerie knew the United States Navy was far from a kid’s fort. Protocol and decorum were at play. She had to navigate the game. Although she felt it was unfair to have something held against her, it was something over which she had no control. She volunteered for and served in assignments designated “sea duty equivalent” per the bureaucracy, but that didn’t seem to matter to naysayers. The impetus which compelled her to do her part occurred when the exclusion on women serving on combat ships and in aviation squadrons was lifted in 1993. She decided she could and would overcome the obstacle. Finally, she had the Navy’s permission to enter the fort. When the first jobs opened up for female intelligence officers on combat ships, there were few positions for the many seeking them. 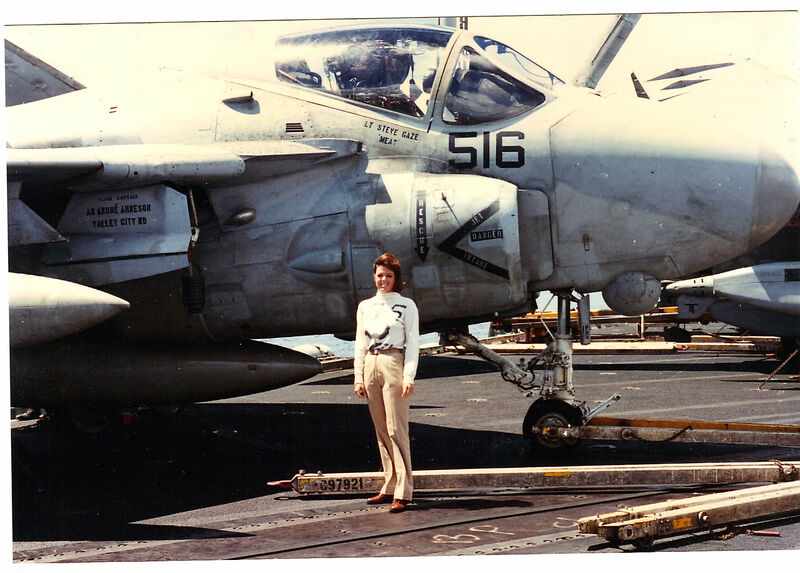 Valerie was lined up for four separate jobs before she finally received orders as one of the first women aboard a combatant aircraft carrier as an intelligence officer in its air wing. Persistence, flexibility, and a willingness to do things never done before paid off in the end. As a naval officer, Valerie attributes one of her personal strengths to be the revelation that she can’t do everything herself. It was earth-shattering to realize that it’s okay to admit that. Valerie knows that tenant probably comes from having support from so many for so long. To this day, she is thankful to have the most amazing support a person could ask for from her husband, also a retired naval officer. She never takes that for granted. Valerie describes herself as someone not afraid of change. In fact, she’s become pretty good at not only accepting, but embracing, change. And finally, Valerie still believes that everything happens for a reason. Her mantra? Rather than dwell on the negative, try to move on to the positive. Five years from now Valerie would like to still be helping other people – such as young women aspiring to leadership positions . She trusts that helping someone else by sharing something she’s learned will achieve goals far beyond her own. Her award winning book, Believing in Horses just won the Gold in young adult fiction for the Military Writer’s Society of America. It is a story of a young girl whose father is serving in Afghanistan. 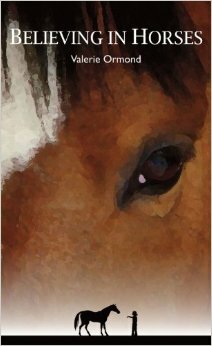 It’s a coming of age story regarding overcoming the fear of losing her father in battle through horsemanship. The powerful fiction is a beacon for children of deployed parents. Again, Valerie giving hope. For this reason, AgeView Press is proud to select retired Captain Valerie Ormond, U.S. Navy (Ret.) as Belle of Steel #10. 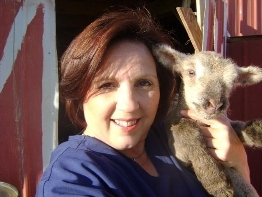 Follow Valerie Ormond and her career inspiring others. This entry was posted in Belles of Steel and tagged #flynavy, Aircraft Carrier, Authors, Believe in Horses, Belle of Steel, Captain, horses, Indie authors, Indie Press, Indie publishing, Military writer's Society of America, Naval Officers, Navy, therapeutic horseback riding, USN, USS Abraham Lincoln, Valerie Ormond, VQ-5. Thank you, Jeanette and AgeView Press; I feel honored and humbled to be included in this group of amazing women.